In the mid to late 19th century, the Industrial Revolution was coming to an end. In oil lighting, the revolution was just beginning. 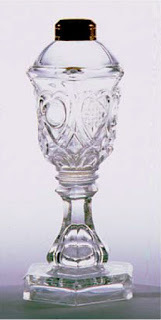 Hand made items were being replaced with machine made items and consumers began demanding choices: patterns and colors. These demands were extended in the home to the everyday tools and appliances. A vastly growing line was the kerosene lamp. 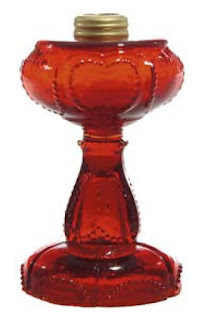 It was reusable and provided better light than wax candles. 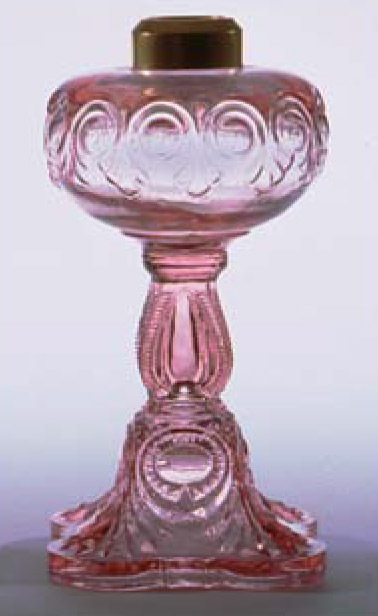 Mass production was now possible and iron molds were used to make consistent patterns in various colors. The popular patterns were given names and often had slight variations of the pattern to broaden the appeal. We will take a look at some of these patterns and their names. 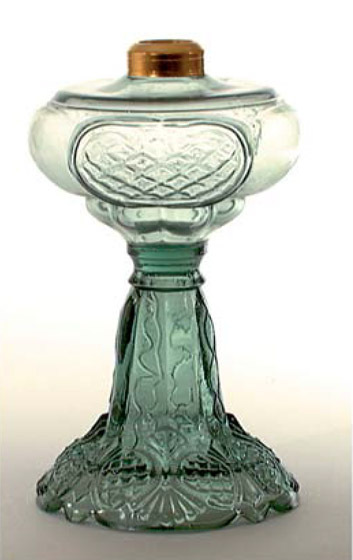 This lamp was originally a whale oil lamp and the original production is from about 1830. It has a #2 collar and is 10 1/2 inches tall. 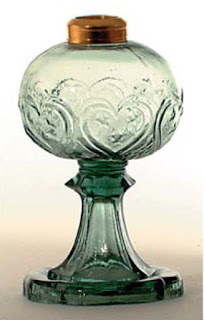 This Heart and Star patter kerosene lamp was probably first produced by Atterbury and Company in the mid 1860's. It had a #2 collar and measure 8 1/2 inches tall. This Shield and Star pattern oil lamp was believed to have been a patriotic motif inspired by the Civil War and manufactured about 1860. They had a #1 size collar and measured 7 inches tall. This Prince Edward pattern kerosene oil lamp was a borrowed pattern from the Victorian era. 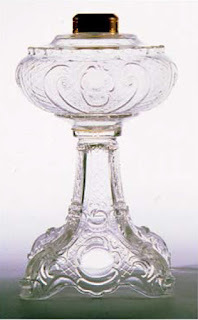 It was first manufactured in the 1890's and measured 10 1/2 inches tall. The Daisy pattern kerosene lamp was first manufactured by the Westmoreland Specialty Company around 1890. 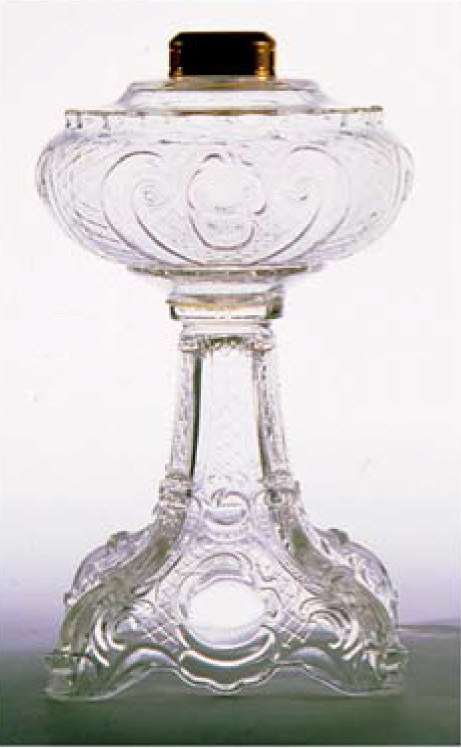 The pattern features daisy flowers in circles around the font and the base of the lamp. It was made with a #2 collar and measured 10 1/2 inches tall. 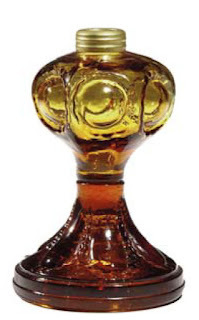 This Coolidge Drape pattern oil lamp was originally manufactured in the early 1900's. It did not officially receive its name or popularity until it appeared in a photo with Calvin Coolidge being sworn into office in 1923. It had a #2 collar and measured 9 1/2 inches tall. The Sweetheart pattern kerosene lamp was also known as the Beaded Heart pattern. 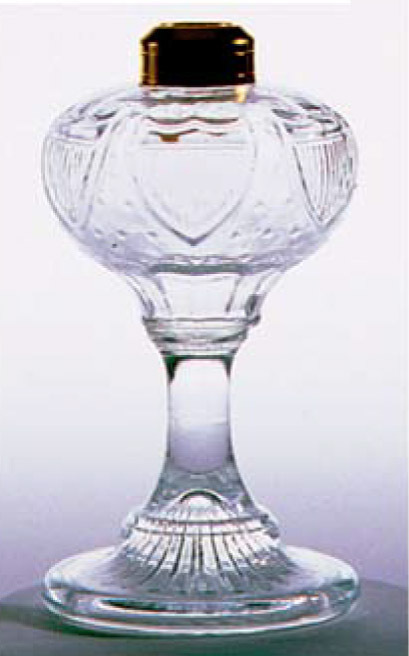 The pattern has heart shapes with beaded edges around the font and upside down hearts with beaded edges on the column of the base. It was first manufactured by the Dalzell, Gilmore, and Leighton Company in the 1890's. There were variations of this pattern including the miniature sweetheart that only measured 5 inches tall. 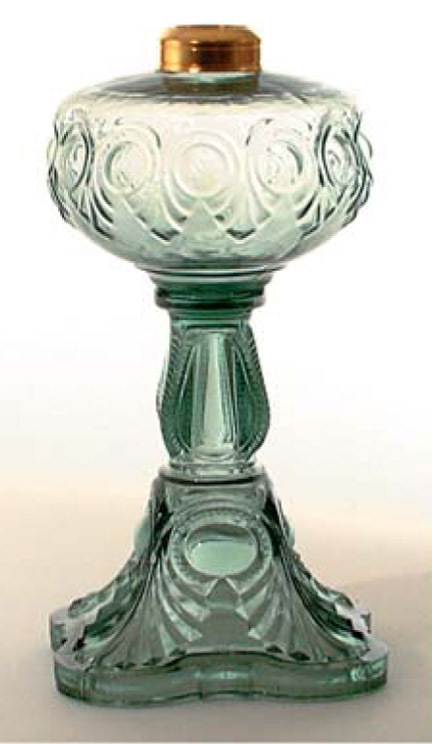 The Bullseye Fine Detail pattern was manufactured in the 1890's by the Diamond Glass Company of Montreal. 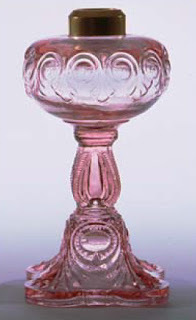 This pattern was also used in table wear (bowls and plates) and other glass home furnishings. This lamp had a #2 collar and measured 11 inches tall. 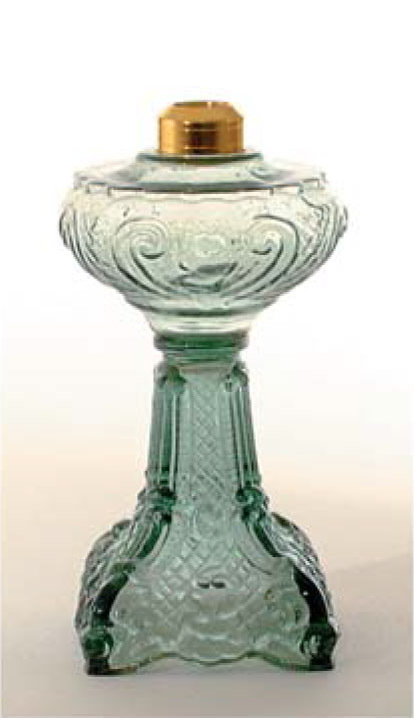 This Miniature Bullseye Fine Detail kerosene lamp has the same general pattern as the taller Bullseye Fine Detail lamp, but only measured 8 1/2 inches tall. 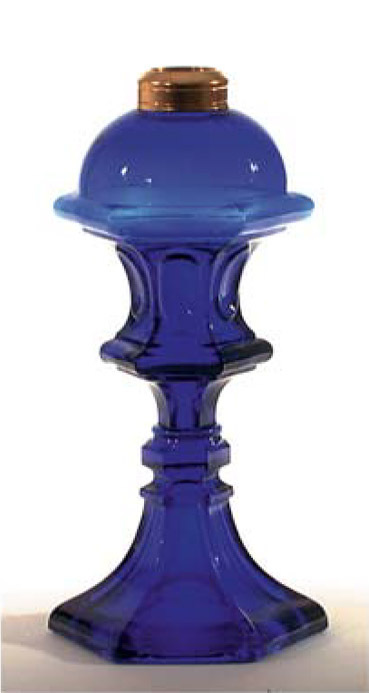 The Miniature Bullseye lamp has the classic eye pattern on the font but none of the details on the base. It measures only 5 1/2 inches tall and has a nutmeg burner. 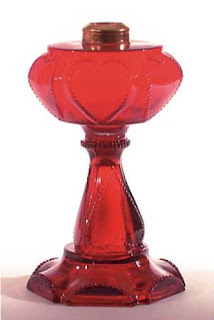 The Bullseye Heart and Diamond kerosene lamp is a variation of the Bullseye Fine Detail with a heart shape outline on the font and alternating diamond and bullseye patterns inside the hearts. It has a #1 collar and measures 9 inches tall. 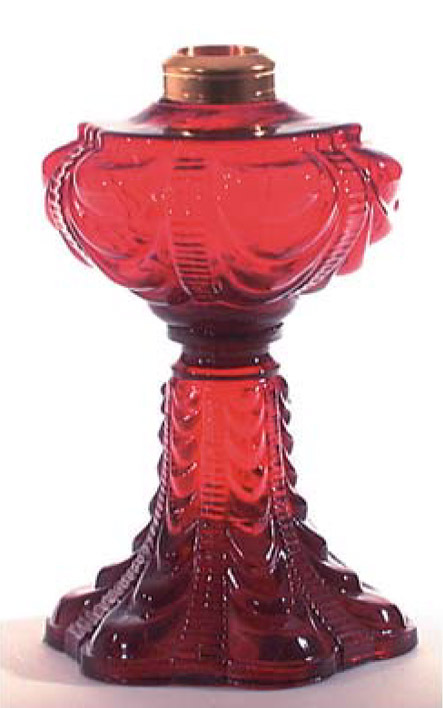 The Princess Feather pattern kerosene lamp was first manufactured by the Consolidated Lamp Company in the 1890's. This lamp had a #2 collar and was 9 1/2 inches tall. It was a popular style with a larger font to hold more kerosene and wide base to make it more sturdy. 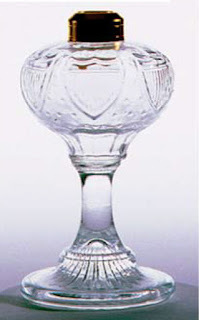 Like the Bullseye Fine Detail and the Sweetheart patterns, there were many variations of the Princess Feather pattern. The Tall Princess Feather kerosene lamp had the same collar and pattern as the original, but measured 10 1/2 inches tall. 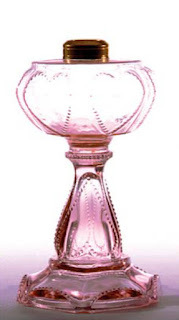 The Miniature Princess Feather kerosene lamp had a #1 collar and measured only 8 1/2 inches tall. In the early 1900's electricity began to reach peoples homes. Many rural areas did not have electricity until the 1940's and 50's. 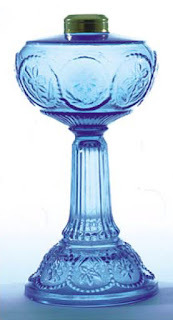 Many kerosene lamp owners did not want to replace their lamp with an electric lamp so they were converted to electric with electrified burners. The lamp maintained its look with chimney and shade and now had a new light source. 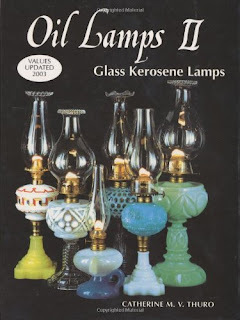 Note: This discussion is not an exhaustive list of kerosene lamp patterns. There were many more patterns of varying popularity. 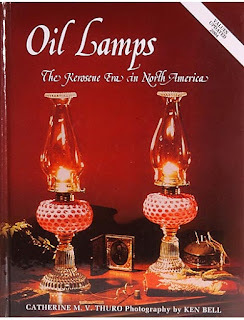 This list only discussed flat wick lamps and does not include any mantle lamps or central draft lamps. While oil and kerosene lamps were originally manufactured in the mid to late 1800's they are still being reproduced today. Reproductions are meant to celebrate the originals and are never meant to be mistaken or represented as an original. 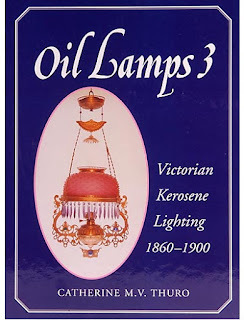 If you hare looking at an oil or kerosene lamp to buy, do your homework. Don't just know the name of the pattern and the size of the collar. 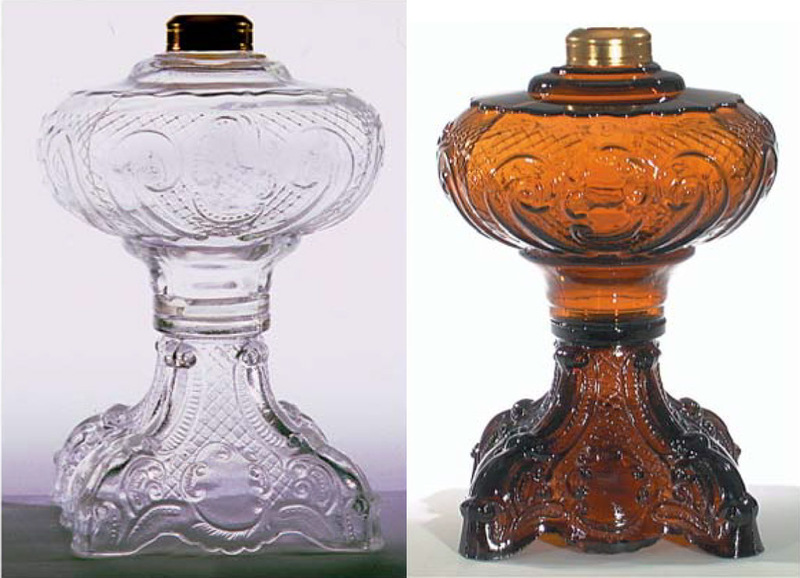 Know what to look for between old oil lamps and new ones. 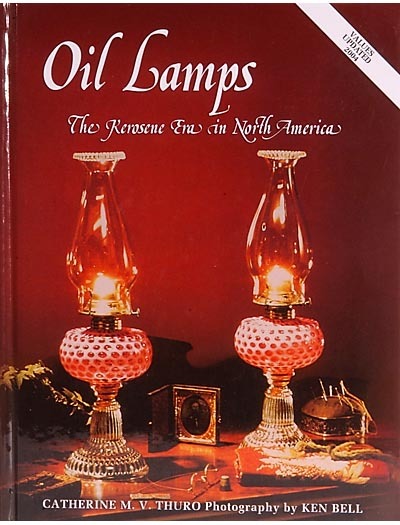 Ruby Lane offers some good guidance on old versus new kerosene lamps.